Have you ever gone into McDonald’s, looked at their $2 value menu and thought, ‘hmm, I don’t quite need a drink today’? Well, I have – and being the glutton I am, I’d typically step away from the counter with two burgers on my tray. After downing both burgers and regretting my life choices, a bit of quick math reveals that I’ve only spent $4 for a substantial enough meal to fill my substantial stomach. A bargain, considering value meals begin at about $6. Buying a SEAT is somewhat like choosing two burgers over a value meal. You get all the good stuff – the engine, gearbox and chassis – but sacrifice some of the niceties like a sunroof, or a brand-name sound system. In the end, however, you still walk away feeling satisfied and rather pleased with yourself. I was only in upper primary when the SEAT brand (then under a different distributor) exited the Singapore market in 2003 amidst a lack of interest. The primary school me never quite knew what SEATs were, until I obtained a copy of Mobil 1 Rally Championship – which prominently featured an Ibiza Kit Car on the box. Despite now being enlightened to the brand, my car selection tended to skew toward the familiar, choosing cars like an EK Civic or Lancer Evolution V to blast down the gravel stages. Now, nearly 20 years later, I’m handed the keys to a fresh new SEAT – and fresh it was, given to me with all the plastic intact. 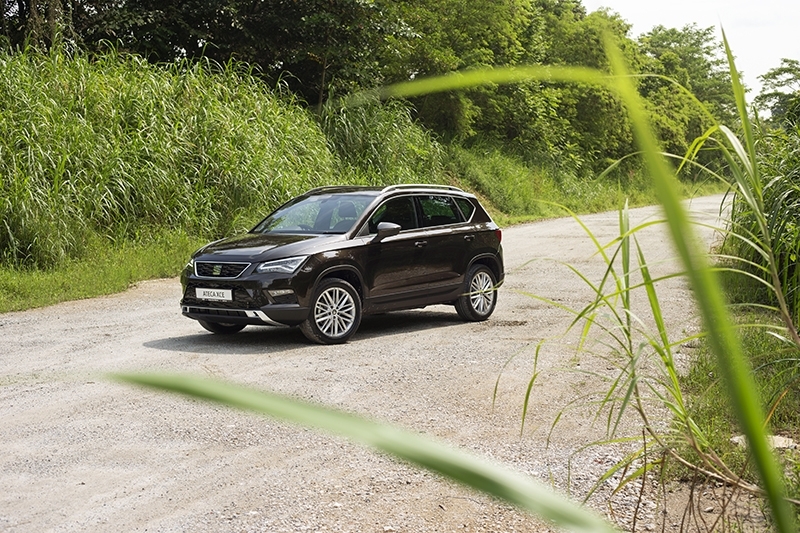 It’s their latest crossover offering named the Ateca, and though it was nowhere near as sporty as the digital Ibiza rally car I had, it did have some off-road capability thanks to generous ground clearance and a 4Drive all-wheel drive system. Underpinning the Ateca is Volkswagen’s versatile MQB platform, combining a familiar 1.4-litre turbocharged TSI engine to a 6-speed DSG dual-clutch automatic transmission. 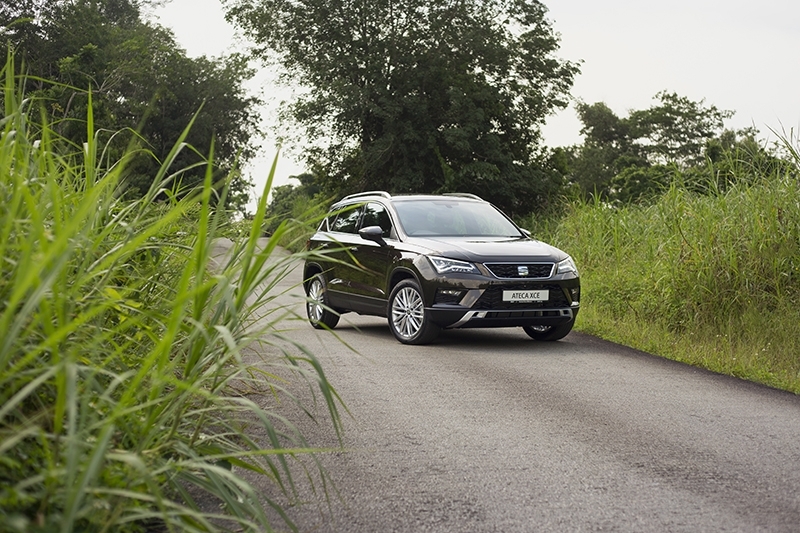 Despite producing 148 bhp and 250 Nm of torque while providing drive to all 4 wheels, the Ateca manages to return a claimed fuel economy of 16.1km/l. Though we weren’t quite able to hit that figure, I still averaged 15km/l. 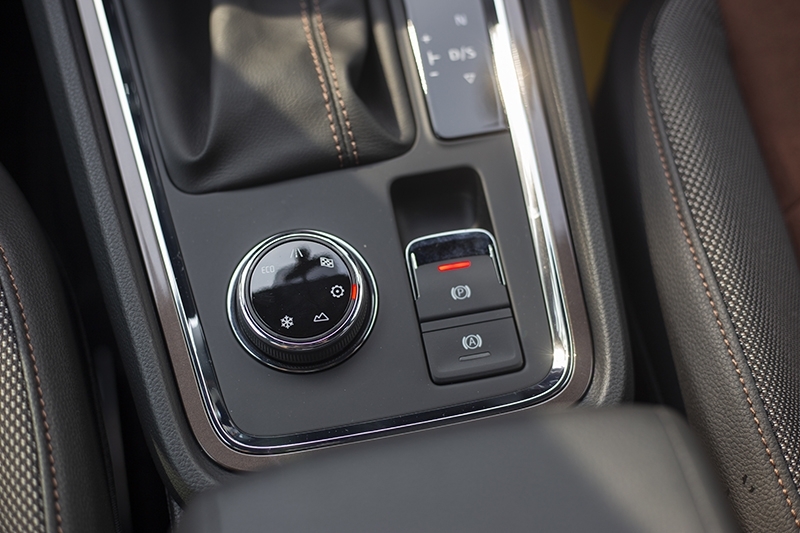 Six driving modes are selectable with the SEAT Drive Profile – Eco, Normal, Sport, Individual, Off-road and Snow – from a little knob below the gearlever. The various modes do exactly as written on the box, with ‘Sport’ sharpening throttle response and holding onto gears longer, while ‘Off-road’ turns the stability control off and adjusts parameters of various safety systems to adapt to irregular terrain. ‘Individual’ mode was slightly different, as it allows you to pick and choose different aspects of each driving mode and customise it to your liking. 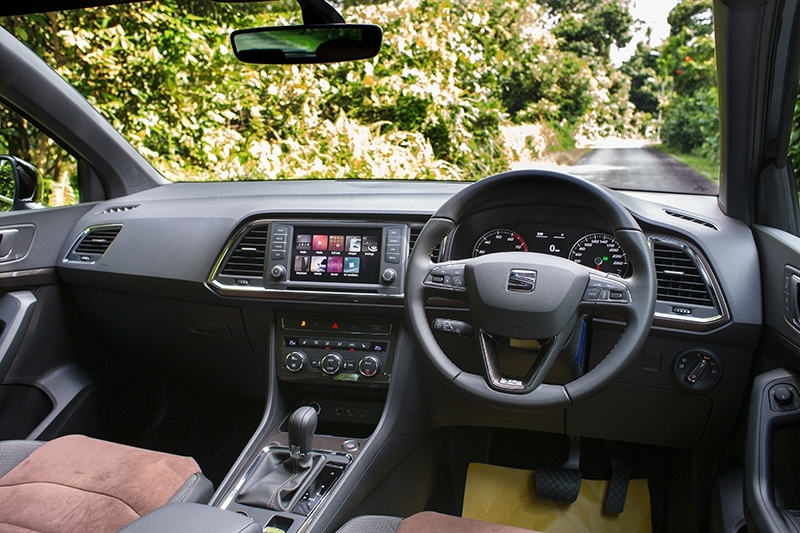 Each aspect of the drivetrain could be configured independently – I set my steering and throttle response to ‘Sport’, and left the transmission in ‘Normal’ – so that I could have a bit of fun around corners while not adversely impacting fuel economy. 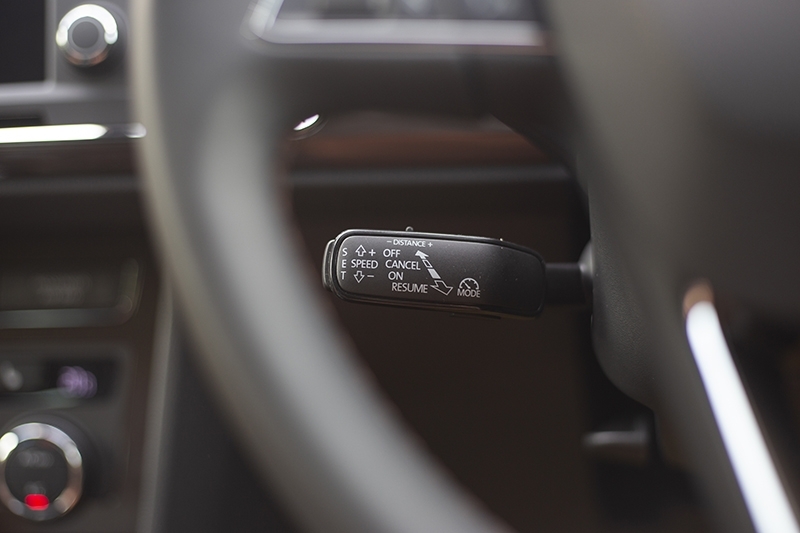 On the expressways, the Ateca’s adaptive cruise control (ACC) was easily set from the independent stalk on the left side of the steering wheel. Cruising speed and following distance was set by flicking rocker switches on the x- and y-axis. Speeding back up after braking for slower traffic was easy – I just had to pull the stalk towards me, and cruise control resumed. A host of safety features are available, with the ACC being just one of them. 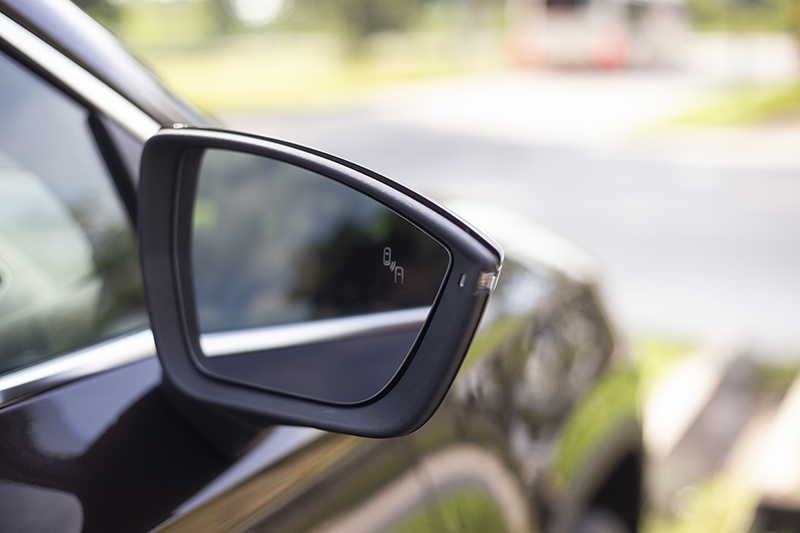 Blind spot detection, rear cross traffic alert, and 7 airbags are standard equipment, as are park distance sensors and a 360-degree ‘Area View’ camera system. Unfortunately, the Area View cameras were rather grainy under low light conditions, but relying on the rear-view camera alone sufficed. 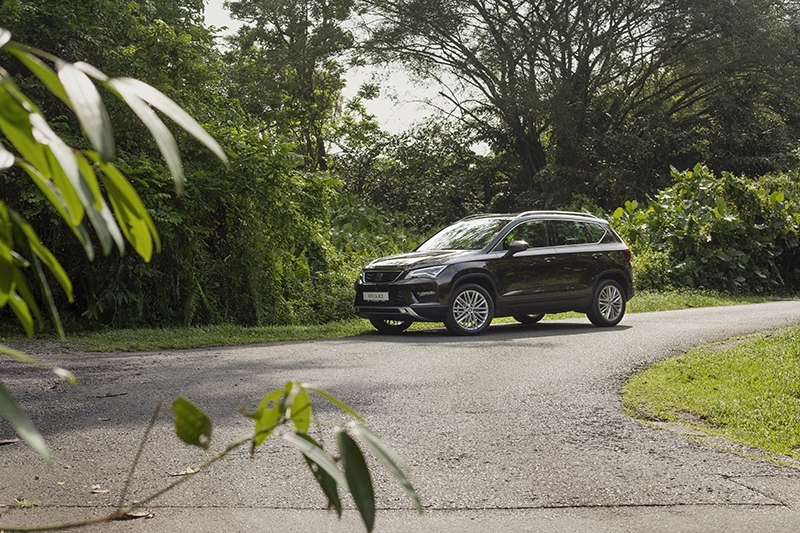 Hustling the Ateca on twisty backroads in the northern region of Singapore, I was pleasantly surprised by its composure and agility. Ride quality was pleasantly pliant when going over surprise dips and potholes, while uneven roads were dealt with minimal fuss. Minor body roll was felt through sharper corners as expected, but it was by no means wobbly. It handles very much like what you’d expect from a European hatchback, behaving very unlike the crossover it is. 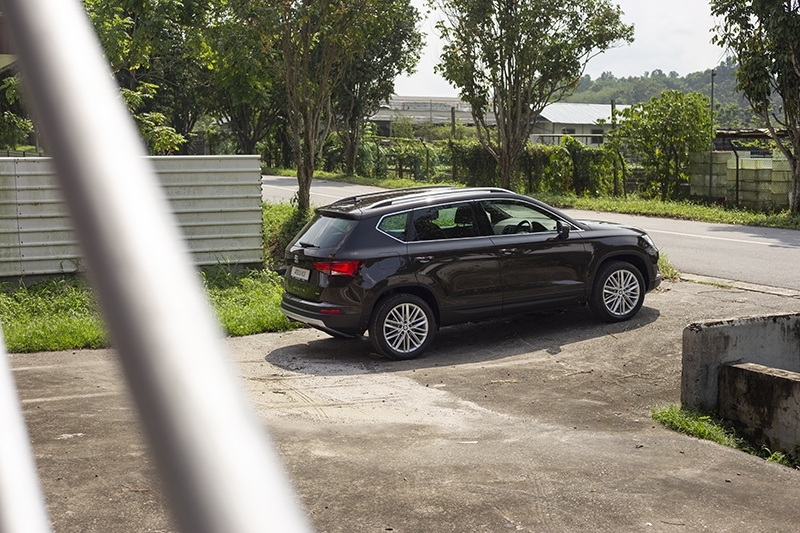 Entering corners with a bit more bravery (or stupidity, whichever way you look at it) reveals how planted this Ateca is, while a great job has been done on tweaking the steering feel for feedback. 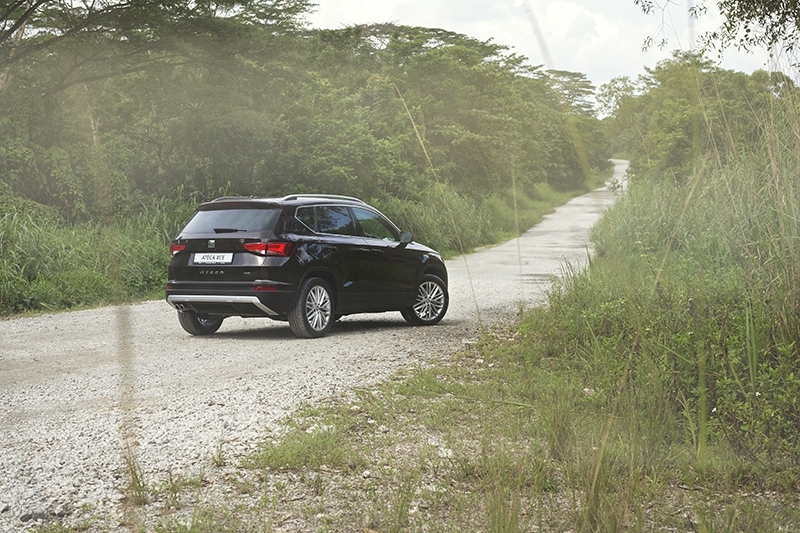 Initial turn-in inspires confidence, and the car’s position can be easily felt as you power through the corner. 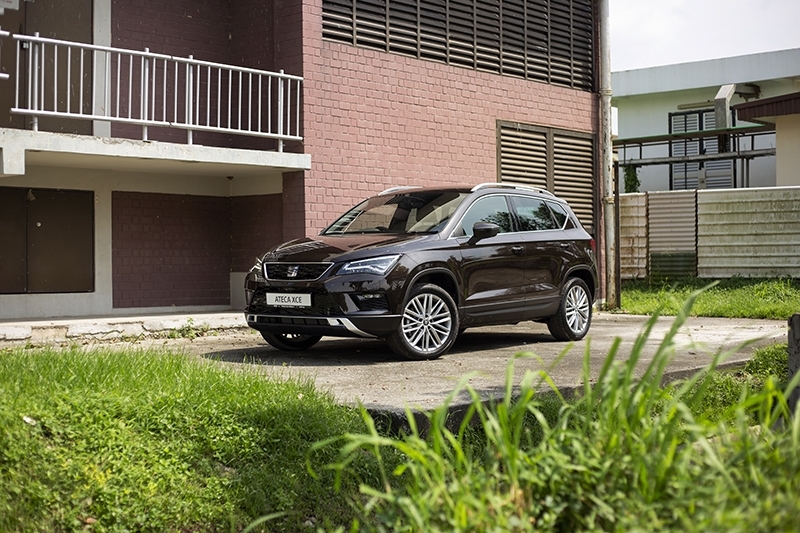 The Ateca’s agility is largely thanks to its weight, being one of the lightest all-wheel drive SUVs on the market. Having driven its more powerful sibling, the Volkswagen Tiguan R-Line, the additional 70 bhp is evident in a straight line; but the Ateca’s nearly 500 kg weight deficit is even more evident around corners. 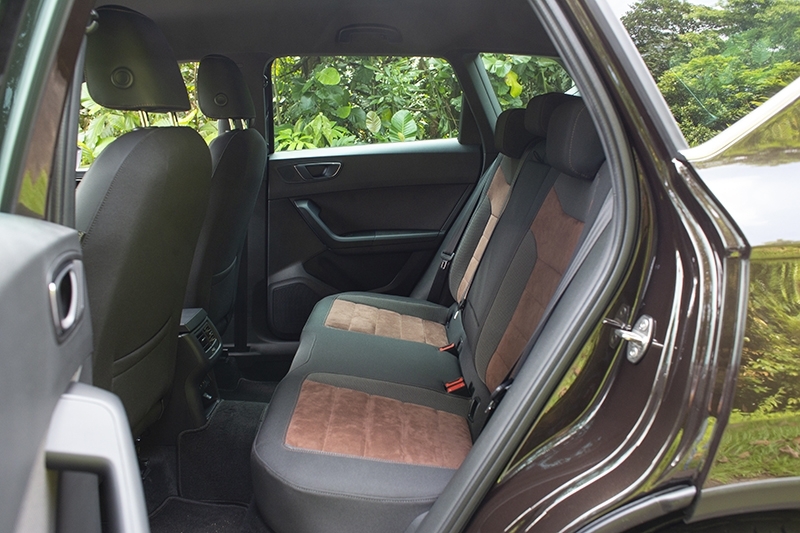 Inside, cabin space both in the front and back allow passengers to stretch out comfortably, with their buns cocooned in a set of very nice fabric and alcantara sport seats finished in brown. The dashboard and door panels also get matching glossy brown trim pieces to match, which is a pleasant change from fingerprint-magnet piano black. 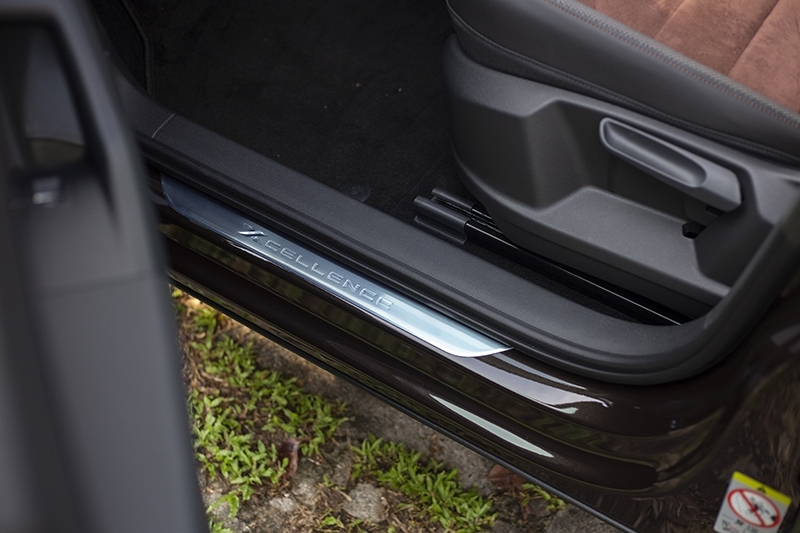 This upholstery option is available only on the mid-tier ‘Xcellence’ spec – you get cloth seats on the entry-level ‘Style’ trim, and fancy leather-alcantara sport seats on the range-topping FR trim – but they’re my pick. 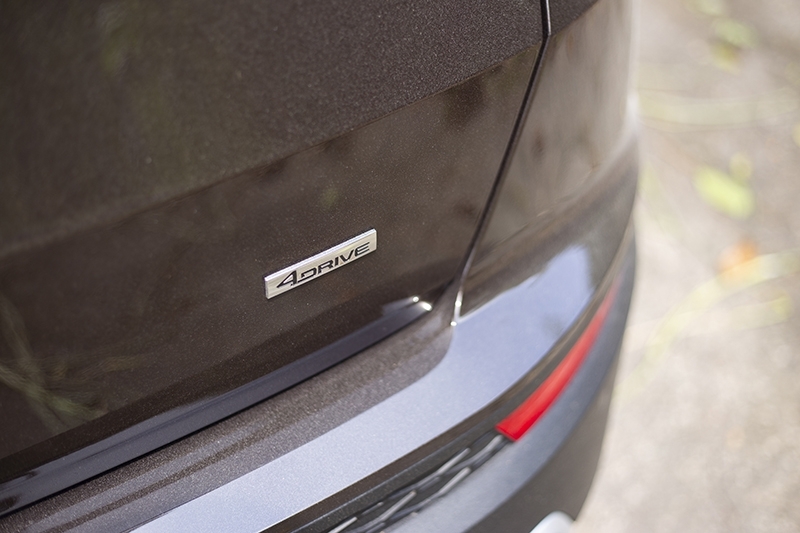 Paired with the Magnetic Brown exterior paintwork, they’re a refreshing change from the usual offerings. 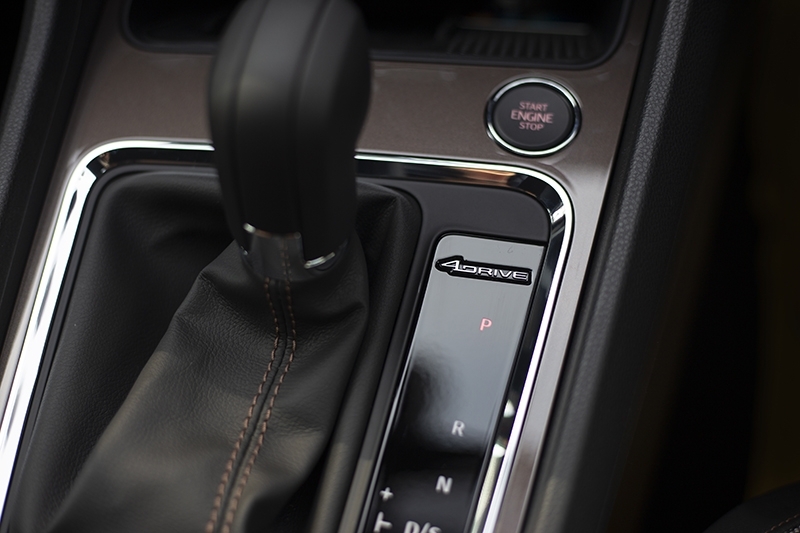 Other interior niceties include four USB charging ports (2 in front, 2 in the rear), a wireless charging pad in the centre console, and an intuitive infotainment system that supports both Apple CarPlay and Android Auto. 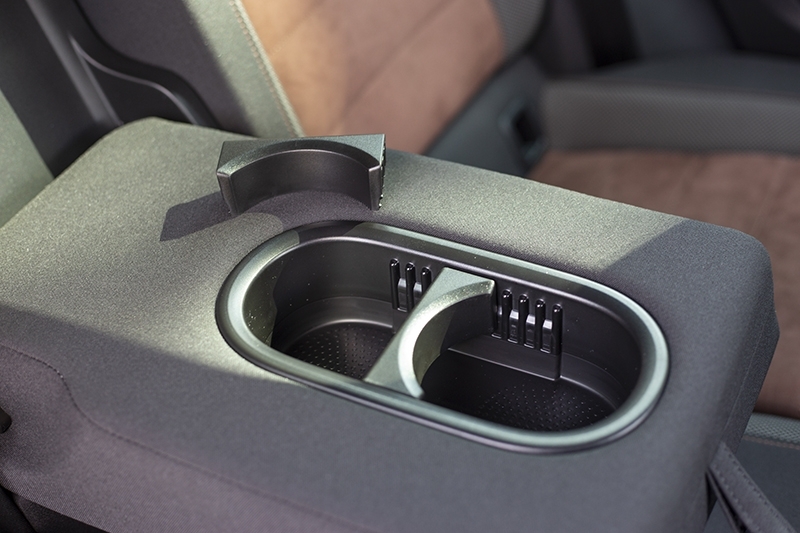 One extremely minor – yet thoughtful – touch that I noticed was the rear armrest cup holder, which had two movable brackets that gave you a 10-step adjustment to fit the size of your cup. Just like 9-year old me playing Mobil 1 Rally Championship, the problem SEAT faces right now is a lack of familiarity amongst the majority of consumers today, with most overlooking its offerings in favour of the mainstream options they’ve gotten accustomed to. However, look past the unfamiliar badge and you’ll find that the Ateca is the analogical pair of burgers. Being a kind of basic Volkswagen has its perks when it comes to forking out the cash for one – at just under S$130,000 with COE (as of 11th July 2018), basic isn’t always bad.